One segment? No way dude! 7-Segments for life! 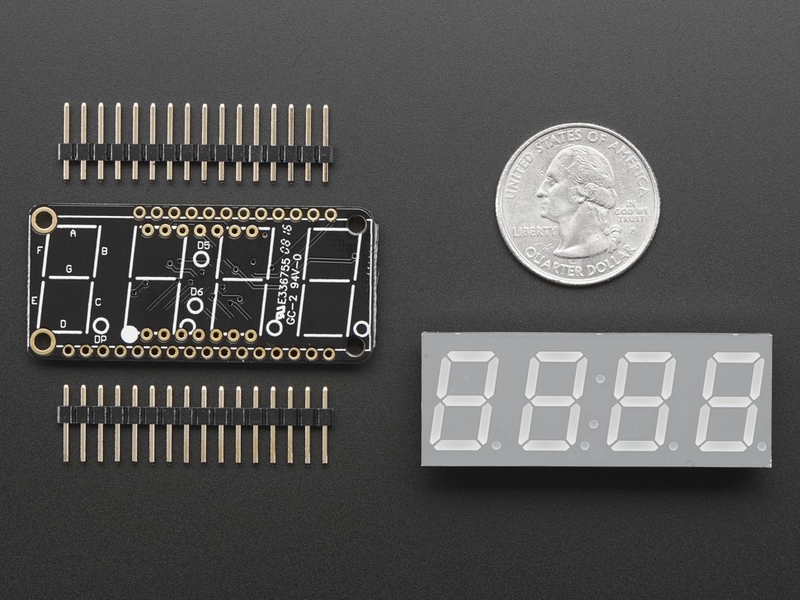 This is the Blue Adafruit 0.56" 4-Digit 7-Segment Display w/ FeatherWing Combo Pack! We also have these combo packs in Red, Green,White, and Yellow! 7-Segment Matrices like these are 'multiplexed' - so to control all the seven-segment LEDs you need 14 pins. That's a lot of pins, and there are driver chips like the MAX7219 that can control a matrix for you but there's a lot of wiring to set up and they take up a ton of space. Here at Adafruit we feel your pain! After all, wouldn't it be awesome if you could control a matrix without tons of wiring? That's where these LED Matrix FeatherWings come in! 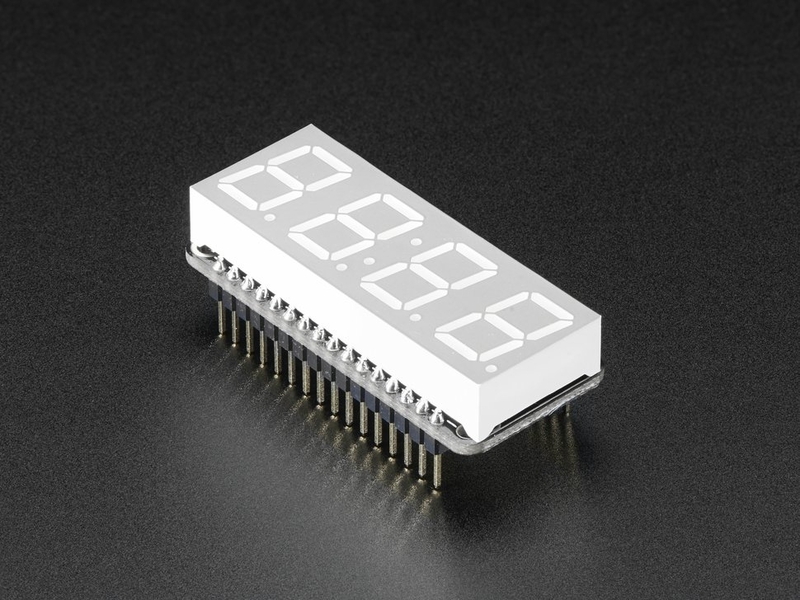 The 7-segment FeatherWing backpack makes it really easy to add a 4-digit numeric display with decimal points and even 'second colon dots' for making a clock. The LEDs themselves do not connect to the Feather. Instead, a matrix driver chip (HT16K33) does the multiplexing for you. 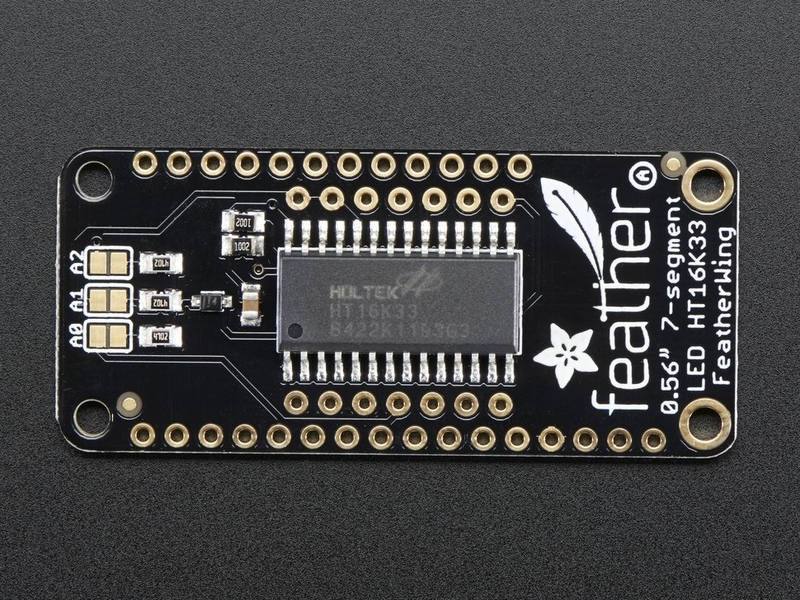 The Feather simply sends i2c commands to the chip to tell it what LEDs to light up and it is handled for you. This takes a lot of the work and pin-requirements off the Feather. Since it uses only I2C for control, it works with any Feather and can share the I2C pins for other sensors or displays. A bit of soldering is required to attach the matrix onto the FeatherWing but its very easy to do and only takes about 5 minutes. Check out our detailed tutorial for pinouts, assembly, usage, and more!